Tropical plants are popular because they are often visually interesting and showy. Although they only grow outdoors in warm climates, many tropical plants grow very well as houseplants in cooler climates. Popular tropical houseplants include both flowering and leafy plants. In some cases, people grow potted tropical trees as indoor houseplants. The tropics are the area between the Tropic of Cancer, at 23 1/2 degrees north latitude, and the Tropic of Capricorn, at 23 1/2 degrees south latitude. The equator runs between the two tropics. The area between these two lines receives direct sun most of the year and has the least winter-summer variance in sunlight amounts. Many types of tropical plants thrive in full sun. Poinsettias are tropical plants that require full sun. Azaleas grow both in the tropics and in slightly cooler climates and can grow well as potted plants with full sun. 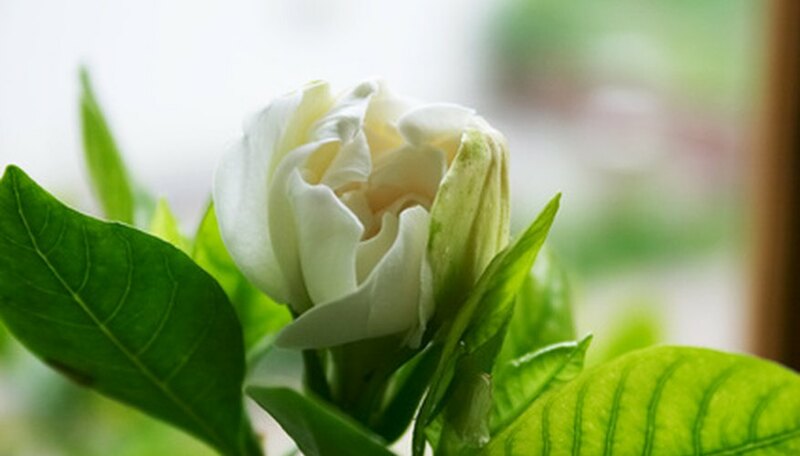 The gardenia, a fragrant tropical plant, grows well indoors with full sun and acidic soil. Cyclamen is an anther type of tropical flower that does best in full sun. Some tropical plants, like Christmas cactus, do well with full sun in the winter, but full summer sun can make them look sickly and yellowish. Most tropical plants that grow in full sun need loamy soil that drains well and require plenty of water. Water your tropicals when the top 1/4 inch of soil feels dry to the touch. Some tropical plants will not do well if nighttime temperatures drop below 60 degrees F, but others, especially plants from cooler parts of the tropics, can survive temperatures down to near freezing. How much cold your plant will tolerate will depend on its species. Tropical plants that require full sun often have large, green leaves with interesting visual striations and shapes. Many tropical plants have very thin bark or plant walls and are very tender. According to Radford University, leaves of many tropical plants, especially those that grow in sun, have “drip tips” that help to channel water off the leaf during heavy, tropical rains. Tropical plants that do well in the sun usually need plenty of water. Your plant will likely need to be repotted every couple of years. As the roots grow, they fill the pot and displace air pockets in the soil that are necessary for plant health. When repotting, you can either transfer the plant to a larger pot or remove the plant from the pot and trim back the roots. Trimming the roots will help maintain a smaller plant than transplanting to a larger pot. When trimming the roots, remove about one-third of the roots.